On June 16, 2007, Molly Hamilton made a Crazy Big Promise to – write a song to positively affect the WORLD FOREVER! In 2009, Eugene Coste Elementary School (Eugene Coste Reference Letter) principal, Gail Langdon, approached Molly to develop a Songwriting and CD Artist in Residency program. Their school was going to be closed at the end of the year and she wanted the children to have a unique experience before they left the school. She also wanted the songs written to be produced on a CD so that her students would have a treasured keepsake and reminder of the wonderful time they had while attending their school. With a great deal of input and participation from the teachers at the school and using the Make a Wonderful Day theme, this Artist in School Residency was successfully developed and executed. In the residency, students have the opportunity to co-write positive songs with Miss Molly and other featured songwriters, record them and release a professional CD that students, teachers and families can enjoy forever. Miss Molly enjoys a successful musical career and stands out amongst professional musicians due to her deeply caring heart. She is driven to make as many people possible experience joy through music. While most musicians say their passion is music, Molly will tell you her passion is seeing people smile, have fun, find inspiration and feel good from their heads to their toes during her performances and workshops. Molly’s mission in life is to bring the joy and healing energy of music to the world, Make a Wonderful Day is bursting with the energy of her mission. Molly’s interest in music began by singing as a young child in her family’s car. From this humble beginning, she has gone on to perform for over 4000 audiences. In fact, Miss Molly’s most cherished memories include being the featured entertainer at the 1988 Winter Olympics in Calgary, performing for crowds of 60,000 or more each day and her featured performance during the Calgary Grey Cup half-time show which was televised across the continent to fifteen million people. 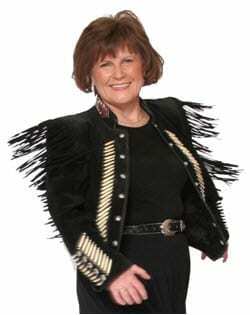 Miss Molly was the official entertainer and musical ambassador for the Calgary Stampede Promotion Committee for fourteen years and has been acknowledged through many special awards. She received the celebrated Tourism Calgary’s White Hatter of the Year Award. This is given annually to only one person in Calgary – the person who best demonstrated the western hospitality and friendliness of the city. Miss Molly offers many different musical shows and educational workshops including a unique family symphony concert entitled Every Cowboy Needs a Horse which combines country classics played by a full orchestra. She continues to perform with Symphony orchestras world wide as part of either their Family or Pops Concert series. Miss Molly was the special featured guest, with the Young Canadians on the World Renowned Calgary Stampede Grandstand Show on three different occasions, performing for 300,000 people for 11 nights each year. Miss Molly loves to perform for all ages and was voted Calgary’s Best Children’s entertainer by the “Calgary’s Child” publication and received the “Best Children’s Artist of the Year” award from the Alberta Recording Industries Association. She has released six CDs on her own 2M Records label where she was the executive producer as well as writing many of the original songs. Her music career has now spanned three decades and has literally tickled millions of people’s hearts around the world. Molly’s newest project is co-founding a non-profit charitable organization called The Wonderful Music Foundation. Its mission is to provide live music, recorded music and audio visual equipment to children’s hospices and hospitals in Calgary and around the world. Molly’s hope is that people will share the songs written through this Make a Wonderful Day Songwriting and CD Artist in School Residency and that they will encourage listeners to share more love, have more hope, show more gratitude and foster more charity in their lives. Molly believes you have a choice to make a wonderful day. The need for peace and understanding is urgent and the Make a Wonderful Day project is making a significant contribution to positively affecting the world forever!